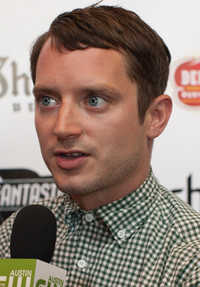 Elijah Jordan Wood (born January 28, 1981) is an American actor, voice actor, film producer and DJ. He made his film debut with a minor part in Back to the Future Part II (1989). Landing a succession of larger roles, he was critically acclaimed as a child actor by age 9, being nominated for several Young Artist Awards. As a child, he starred in the films Radio Flyer (1992), The Good Son (1993), North (1994), and Flipper (1996). He began to take on teenage roles in the films The Ice Storm (1997), Deep Impact and The Faculty (both 1998). He is best known for his high-profile leading role as Frodo Baggins in Peter Jackson's epic film trilogy The Lord of the Rings (2001-2003). Since then, he has chosen varied roles in films such as Eternal Sunshine of the Spotless Mind (2004), Sin City, Green Street, Everything Is Illuminated (all 2005), and Bobby (2006). This webpage uses material from the Wikipedia article "Elijah_Wood" and is licensed under the GNU Free Documentation License. Reality TV World is not responsible for any errors or omissions the Wikipedia article may contain.